A Strange Odyssey. Confessions of a Classicist is a surprising, enjoyable and dynamic book, masterfully written. Under the disguise of an autobiographical narration of firstly a student and later a teacher of classical languages, A Strange Odyssey is an extraordinary road map for anyone who plans to pursue with excellence the study of Latin and Greek. This book could have been titled How to learn Latin and Greek, and not die in the attempt. By referring to his own experiences and with a great sense of humour, the writer reviews the difficulties and disappointments which students of Latin and Greek have to face while studying classical languages. There will be few Classicists, veterans and young alike, who cannot identify with many of the situations which the author cites, and few readers who will not feel hooked by his passion, love and enthusiasm for Classical Philology. This is an indispensable book for understanding, in a most entertaining way, the different didactic approaches to teaching Latin and Greek throughout history (the humanistic route, grammar and translation, the natural method, Reading, Ørberg, the communicative approach etc.) and to discover a universe of up-to-date and current possibilities (Modern Greek as a first step towards learning Ancient Greek, the Circuli Latini, the Vivarium Novum Academy, Latin comics etc.) which the author presents to us on this strange pilgrimage of his memories and experiences as a Classicist. An engaging reading for anyone interested in obtaining a profound knowledge of culture, this is indispensable for all students and teachers of Classical Philology. 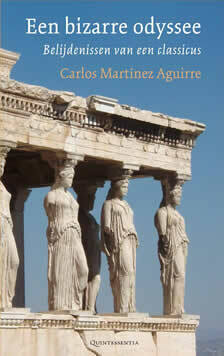 Carlos Martínez Aguirre was born in Madrid in 1974 and graduated in Classical Philology. He has been a Spanish teacher in the Cervantes Institute of Athens and a research student in the Institute of Byzantine Studies in the same city. He resided in Paris and Brittany for two years where he worked as a conversation assistant of Spanish. In 2002 he obtained a position in the Secondary School Teacher’s body by passing the official state exams. For more than 10 years he worked as a Latin and Greek teacher in several Secondary Schools in Castille-La Mancha. Since 2015 he leads the educational project Classics at Home – teaching classical languages from his home, which uses a multimedia platform and is dedicated to teaching classic Latin and Greek to students all around the world. Furthermore, he has published two books of poetry and his poems have been selected in anthologies of modern poetry, as well as receiving awards in several contests. By Elaine Riedel and Francisco Javier González Estepa. Fotini Press. Spanish. Círculo Rojo. 2013. 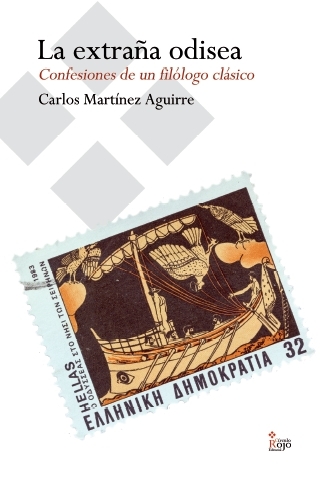 (2nd edition 2015) Sold exclusively by Áurea Bookshop.